What Toyota would you take on a 12,500-mile, 20-country fund-raising drive from Cambridgeshire to Japan in aid of BBC Children in Need? The unstoppable Land Cruiser would be the most obvious choice of vehicle for this marathon, followed by a Hilux or RAV4. Essentially, a Toyota with four-wheel drive and good ground clearance in order to tackle the inhospitable roads and gruelling terrain expected on the way. Not for Dan Handley and Dave Brooks. 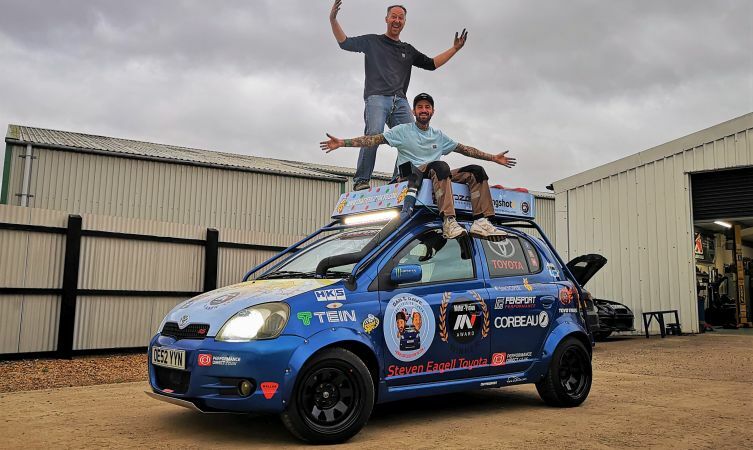 The intrepid duo work together at Fensport Performance, a Toyota specialist in Chatteris, and made the less predictable choice of tackling the journey in a Yaris supermini. More specifically, a 16-year-old first-generation model bought for the princely sum of £1000. Little wonder their idea caught the attention of the Motor-Vision Awards panel, which lent its support to Dan and Dave’s seemingly crazy caper. In truth, the pair chose the Yaris as it is a car they know well, and should be easily repairable should they encounter any problems. Purchased with a donation from their local retailer Steven Eagell Toyota, it has been modified to help it withstand the rigours of the journey and provide a home on wheels. The majority of nights will be spent camping, preparing meals on a small stove, with only occasional stays in local hostels. Dan and Dave left Cambridgeshire on Sunday 12 August. Heading across Europe towards Turkey, they are allowing themselves eight weeks to reach the port of Vladivostok in eastern Russia. From there they will take a ferry to Japan, via South Korea. If all goes to plan they will arrive in Tokyo on Friday 5 October and spend a week there before returning by air to the UK. The car will return to the UK in a container. We plan to publish a number of updates over the course of the journey. 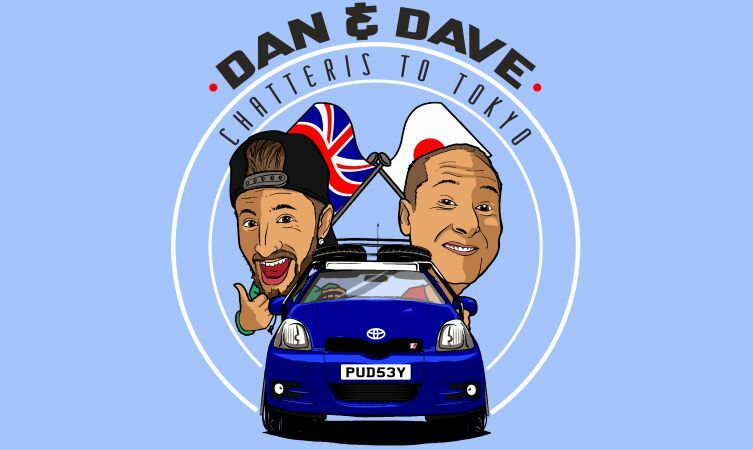 However, more details about the trip and details of how to contribute to Dan and Dave’s fund-raising can be found on their Chatteris to Tokyo website. It would be interesting to know the modifications you needed to do to the car before its epic trip? Thanks for getting in touch and for your words of encouragement! Yes, it is a T Sport/JDM-spec RS model.